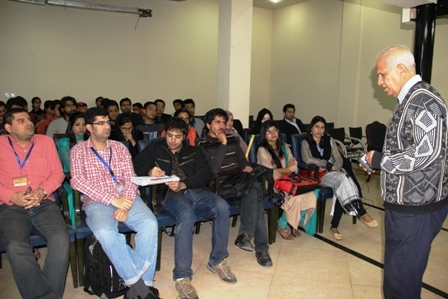 Lucas Economics Society organized a three-day workshop on Financial Literacy Initiative on 19 and 20 February 2014. Mr Barkat Ali Anjum and Ms Gaitee Bhatti from Lahore Stock Exchange had conducted two, hour-long briefing sessions for the students where they were informed about the basic concepts of financial markets. The interactive nature of the two sessions made them interesting and participants learnt about the primary and secondary markets, IPOs, capital market products, debt and equity markets, traders, brokers and other dynamics of the financial markets and institutions. 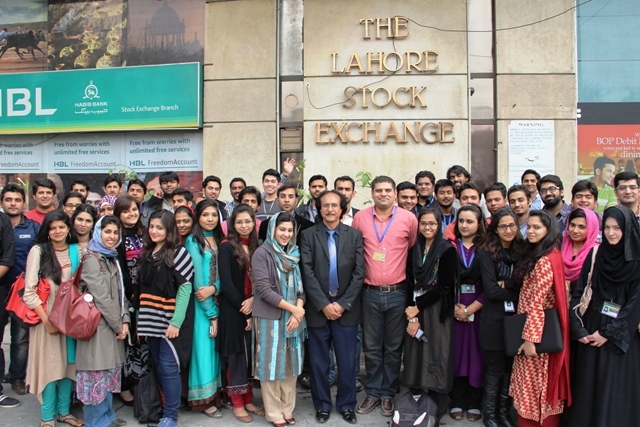 For the 3rd session LES took a field visit to the Lahore Stock Exchange on 11 March 2014 which gave students an opportunity to gain practical experience and see how different financial institutions work. The trip included a talk by the senior investor, Hafiz Abdul Ghafoor who showed immense kindness in sharing his personal experiences and valuable information on how to invest and when to invest in the stock exchange market. It was truly inspirational to hear Dr. Ghafoor talk about his diverse life experiences and current economic situation of Pakistan. He emphasized on continued hard work and persistence in order to succeed in the financial market and life in general. Also, he urged the students to invest in the financial market to gain practical experience but he also cautioned to watch out for the risks that accompany investment. Furthermore, the trip included a visit to the brokerage house, AKD Securities Ltd. The Branch Manager and a former Formanite, Ehsan Ahmad Qureshi talked about how a typical brokerage house works. He highlighted the fact that AKD Securities is different from the conventional brokerage houses because all the trading takes place online. Besides, he proposed that universities should introduce a finance course in the curriculum which would allow students to make actual investments and gain experience through expediential learning. The idea was welcomed by the students and the society advisor, Mr Salahuddin Ayyubi who accompanied the students. Also, Mr. Qureshi strongly urged the students to invest in IPOs. All in all, it was an enriching experience for the students who look forward to the next session of the workshop which would be the Virtual Investment Management Competition. 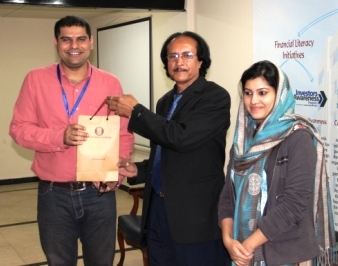 At the end of the session, Mr Ayyubi, Adviser LES, was presented by a souvenir by the Lahore Stock Exchange.